Dr. Weeks’ Comment: The science is in. It is time for you, and the people you love who are struggling with cancer, to demand access to this natural plant. Now the FDA is wavering and may approve it. Again – let your voice be heard! Curr Oncol. 2016 Mar; 23(Suppl 2): S23-S32. In addition to the well-known palliative effects of cannabinoids on some cancer-associated symptoms, a large body of evidence shows that these molecules can decrease tumour growth in animal models of cancer. They do so by modulating key cell signalling pathways involved in the control of cancer cell proliferation and survival. In addition, cannabinoids inhibit angiogenesis and decrease metastasis in various tumour types in laboratory animals. In this review, we discuss the current understanding of cannabinoids as antitumour agents, focusing on recent discoveries about their molecular mechanisms of action, including resistance mechanisms and opportunities for their use in combination therapy. Those observations have already contributed to the foundation for the development of the first clinical studies that will analyze the safety and potential clinical benefit of cannabinoids as anticancer agents. Preparations of Cannabis sativa L. (marijuana) have been used for many centuries both medicinally and recreationally. However, the chemical structures of their unique active components””the cannabinoids””were not elucidated until the 1960s. Three decades later, the first solid clues to cannabinoid molecular action were established, which led to an impressive expansion of basic cannabinoid research and a renaissance in the study of the therapeutic effects of cannabinoids in various fields, including oncology. Today, it is widely accepted that, of the approximately 108 cannabinoids produced by C. sativa, Î”9-tetrahydrocannabinol (thc) is the most relevant because of its high potency and abundance in plant preparations1,2. Tetrahydrocannabinol exerts a wide variety of biologic effects by mimicking endogenous substances””the endocannabinoids anandamide3 and 2-arachidonoylglycerol4,5””that engage specific cell-surface cannabinoid receptors6. So far, two major cannabinoid-specific receptors””cb1 and cb2””have been cloned from mammalian tissues and characterized7,8. In addition, other receptors such as the transient receptor potential cation channel subfamily V, member 1, and the orphan G protein-coupled receptor 55 have been proposed to act as endocannabinoid receptors6. Most of the effects produced by cannabinoids in the nervous system and in non-neural tissues rely on cb1 receptor activation. In contrast, the cb2 receptor was initially described to be present in the immune system6, but was more recently shown to also be expressed in cells from other origins9,10. Notably, expression of the cb1 and cb2 receptors has been found in many types of cancer cells, but not necessarily correlating with the expression of those receptors in the tissue of origin9,11,12. The endocannabinoids, together with their receptors and the proteins responsible for their synthesis, transport, and degradation, constitute the endocannabinoid system. Aside from its pivotal neuromodulatory activity13, the endocannabinoid system exerts other regulatory functions in the body such as control of cardiovascular tone, energy metabolism, immunity, and reproduction14,15. This miscellaneous activity makes the pharmacologic manipulation of the endocannabinoid system a promising strategy for the management of many diseases. Specifically, cannabinoids are well known to exert palliative effects in cancer patients14,15. Their best-established use is the inhibition of chemotherapy-induced nausea and vomiting15,16. Today, capsules of thc (Marinol: AbbVie, North Chicago, IL, U.S.A.) and its synthetic analogue nabilone (Cesamet: Meda Pharmaceuticals, Somerset, NJ, U.S.A.) are approved for that purpose. Cannabinoids also inhibit pain, and thus a standardized cannabis extract (Sativex: GW Pharmaceuticals, Salisbury, U.K.) has already been approved in Canada and is currently the subject of large-scale phase iiiclinical trials for managing cancer-associated pain. Another potential palliative effect of cannabinoids in oncology, supported by phase iii clinical trials, includes appetite stimulation and attenuation of wasting. In that respect, Marinol can currently be prescribed for anorexia associated with weight loss in aids patients. The therapeutic potential of cannabinoids in oncology might not be restricted to their aforementioned palliative actions. Thus, numerous studies have provided evidence that thc and other cannabinoids exhibit antitumour effects in a wide array of animal models of cancer12,16,17. Moreover, those observations led to the development of several clinical studies to investigate the antitumour activity of thc in humans (see “Clinical Antitumour Effects of Cannabinoids” later in this article). Nonetheless, a few studies have shown that, under certain conditions, cannabinoid treatment can stimulate cancer cell proliferation in vitro18,19and interfere with the tumour-suppressor role of the immune system20,21. Likewise, reports about the role of the endocannabinoid system in cancer (tumour-suppressor or oncogenic) are conflicting22. Reports concerning the biologic role of the endocannabinoid system in cancer physiopathology are sparse. Although some exceptions that might be tumour-type-specific are known, cannabinoid receptors and their endogenous ligands are both generally upregulated in tumour tissue compared with non-tumour tissue16,22–24. Additionally, various studies have associated the expression levels of cannabinoid receptors, endocannabinoids, or endocannabinoid-metabolizing enzymes with tumour aggressiveness22,25,26, which suggests that the endocannabinoid system might be overactivated in cancer and hence pro-tumourigenic22. In support of that hypothesis, reports showed that genetic ablation of cb1 and cb2 receptors in mouse models of cancer reduces ultraviolet light-induced skin carcinogenesis27, that overexpression of cb2 receptor enhances the predisposition to leukemia after leukemia viral infection28, and that cb2 promotes her2 (human epidermal growth factor receptor 2) pro-oncogenic signalling in breast cancer29. Conversely, and in line with the evidence supporting the hypothesis that pharmacologic activation of cannabinoid receptors decreases tumour growth12,16, upregulation of endocannabinoid-degrading enzymes has been observed in aggressive human tumours and cancer cell lines25,26, indicating that endocannabinoid signalling can also have a tumour-suppressive role. In support of that observation, deletion of cb1 receptors was noted to accelerate intestinal tumour growth in a genetic mouse model of colon cancer30, increased endocannabinoid levels were observed to diminish azoxymethane-induced precancerous lesions in the mouse colon31, and reduction in the expression of the endocannabinoid-degrading enzyme monoacylglycerol lipase was seen to decrease tumour growth in xenografted mice25. Further studies””including analyses of the activation of the precise signalling mechanisms involved in the regulation of cannabinoid-induced cell death, and of cell proliferation upon genetic or pharmacologic manipulation of the endocannabinoid system””are therefore needed to clarify the contextual determinants that result in the system acting as either a guardian or an inducer of tumourigenesis or tumour progression. The present review summarizes such observations and provides an integrated view of the molecular mechanisms responsible for cannabinoid antitumour activity. 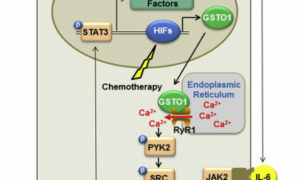 It also discusses the experimental evidence supporting the existence of mechanisms of resistance to the cell death-promoting actions of thc in certain types of cancer cells, the strategies that could possibly be used to overcome such resistance, and the preclinical data supporting the potential usefulness of the combined administration of cannabinoids and other drugs in anticancer therapies. Cannabinoids impair tumour progression at various levels. Their most prevalent effect is the induction of cancer cell death by apoptosis and the inhibition of cancer cell proliferation. At least one of those actions has been demonstrated in almost all cancer cell types tested17. In addition, in vivo experiments have shown that cannabinoids impair tumour angiogenesis and block invasion and metastasis. A significant amount of the research conducted so far on the mechanism of cannabinoid antitumour activity has focussed on glioma cells. Initial studies showed that thc and other cannabinoids induce the apoptotic death of glioma cells by cb1- and cb2-dependent stimulation of the de novo synthesis of the pro-apoptotic sphingolipid ceramide23,32–34. Further studies based on the analysis of the gene expression profile of thc-sensitive and -resistant glioma cells yielded further insight into the specific signalling events downstream of ceramide that are activated in cancer cells by cannabinoids35. Thus, it was found that treatment with thc results in enhanced expression of the stress-regulated protein p8 (nupr1), a transcriptional regulator that has been implicated in the control of tumourigenesis and tumour progression36, together with several of its downstream targets, such as the endoplasmic reticulum (er) stress-related transcription factors atf4 and chop, and the pseudokinase tribbles homologue 3 (trib3)35. This thc-triggered stimulation of the p8-regulated pathway (Figure 1) enhances the inhibitory interaction of trib3 with a pro-survival kinase, akt37,38, which leads to inhibition of the mammalian target of rapamycin complex 1 (mtorc1) and the subsequent stimulation of autophagy-mediated cell death37……. The clinical approval of cannabinoids is largely restricted to palliative uses in various diseases, but since the emergence of promising preclinical data, the antitumour effects of cannabinoids are beginning to be clinically assessed. In a pilot phase i clinical study, 9 patients with actively- growing recurrent glioblastoma for whom standard therapy had previously failed underwent intracranial thc administration11. Under those conditions, cannabinoid delivery was safe and could be achieved without significant unwanted effects. In addition, although no statistically significant conclusions can be extracted from a cohort of 9 patients, the results obtained in the study suggest that some patients responded””at least partially””to thc treatment in terms of a decreased tumour growth rate as evaluated by magnetic resonance imaging11. Importantly, analyses of samples obtained from 2 study patients before and after thc administration indicated that the molecular mechanism of cannabinoid antitumour action””namely, p8 and trib3 upregulation35,37, mtorc1 inhibition37, stimulation of autophagy and apoptosis11,35,37, inhibition of cell proliferation11, decreased vegf signalling32, and matrix metalloproteinase 2 downregulation64 (delineated here earlier)””also operates in vivo. Those findings were encouraging and reinforced interest in the potential use of cannabinoids in cancer therapies. However, they also highlighted the need for further research aimed at optimizing the use of cannabinoids in terms of patient selection, combination with other anti-cancer agents, and use of other routes of administration. Administration of endocannabinoids or inhibitors of endocannabinoid-degrading enzymes has been shown to reduce the growth of various tumour xenograft types95,96 and could therefore be a reasonable strategy for targeting cannabinoid receptors for anticancer purposes. However, as discussed here earlier, the role of the endocannabinoid system, including the endocannabinoid-degrading enzymes, in the control of tumour generation and progression is not well understood. Because enhancing endocannabinoid tone only has mild antitumour effects in mice and because no inhibitor of endocannabinoid degradation has yet been approved for use in humans, clinical studies aimed at analyzing the efficacy of cannabinoids as antitumour agents should be based on the use of plant-derived or synthetic agonists of cannabinoid receptors rather than on endocannabinoids or inhibitors of endocannabinoid degradation. The long-known therapeutic properties of C. sativa””including amelioration of symptoms associated with cancer and its chemotherapy””have led to the authorization of the medical use of the plant and its extracts in several countries. As already mentioned, C. sativa produces approximately 108 different cannabinoids, including thc and cbd. Some of the other cannabinoids present in marijuana might contribute to the attenuation of thc‘s psychoactive side effects or even to the production of other therapeutic benefits15. However, pure drugs are more prone to standardization than complex molecular cocktails. Thus, it would be ideal for studies aiming to investigate the anticancer actions of cannabinoids in patients to be performed comparatively with both pure substances and cannabis extracts containing controlled amounts of thc, cbd, and other cannabinoids. 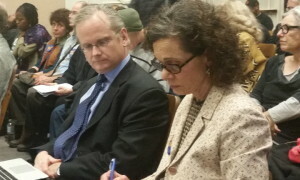 The most widely used route of administration for recreational and self-medicating marijuana is smoking. Although thc and other phytocannabinoids are rapidly absorbed by inhalation, smoking is an unattractive clinical option. Preclinical work in animal models has typically used peri-tumoural administration of cannabinoids. Likewise, in the only clinical trial in which a cannabinoid was assayed as an antitumour agent, thc was administered locally (intracranial delivery to patients with glioblastoma multiforme)11. Nevertheless, this route of administration has many obvious limitations. Currently available cannabis-based medicines are administered as capsules or using an oromucosal spray15. Preclinical animal models have yielded data indicating that systemic (oral or intraperitoneal) administration of cannabinoids effectively decreases tumour growth (GV, CS, and MG. Unpublished observations), and so it seems reasonable that future clinical studies with the goal of determining the efficacy of cannabinoids as antitumour agents use oral or oromucosal routes of administration. It is widely believed that strategies aimed at reducing mortality from cancer should consist of targeted therapies capable of providing the most efficacious and selective treatment for each individual tumour and patient. Thus, the major focus of anticancer drug development has progressively moved from nonspecific chemotherapies to molecularly-targeted inhibitors. However, despite the huge amount of preclinical literature on how these rationally designed compounds work, their use in clinical practice is still limited. How do cannabinoid-based medicines fit into this ongoing scenario? Consider glioma, the type of cancer in which the most detailed cannabinoid research has been conducted to date. As discussed here, engagement of a molecular target (the cb receptors) by a family of selective drugs (thc and other cannabinoid agonists) inhibits tumour growth in animal models through a well-established mechanism of action that also seems to operate in human patients. Moreover, cannabinoids potentiate the antitumour efficacy of temozolomide and alk inhibitors in mice harbouring gliomas. Those findings provide preclinical proof-of-concept that “cannabinoid sensitizers” could improve the clinical efficacy of classical cytotoxic drugs in glioblastoma (Figure 2) and perhaps other highly malignant tumours such as pancreatic cancer, melanoma, and hepatocellular carcinoma. However, further research is required to define the precise molecular cross-talk between cannabinoids and chemotherapeutic drugs and to optimize the pharmacology of preclinical cannabinoid-based combination therapies. With respect to patient stratification, the particular individuals that are potentially responsive to cannabinoid administration should be unequivocally determined. To that end, high-throughput approaches should be implemented to find cannabinoid therapy-associated biomarkers in tumour biopsies or, ideally, in easily acquired fluids containing circulating cancer cells or enhanced levels of resistance factors that might have been released by cancer cells. Such biomarkers would conceivably relate to cannabinoid pharmacodynamics””namely, expression and activity of cannabinoid receptors and their downstream cell-death-inducing effectors. The approach would be analogous to the biochemical evaluation of estrogen and ErbB2 receptors, which respectively predict benefit from endocrine therapies and trastuzumab in breast cancer. Predictive markers to define the sensitivity of a particular tumour to cannabinoid-based therapies could also include the status of growth factors, such as mdk in gliomas, and their receptors and signalling partners. To summarize, cannabinoids induce tumour cell death and inhibit tumour angiogenesis and invasion in animal models of cancer, and there are indications that they act similarly in patients with glioblastoma. Given that cannabinoids show an acceptable safety profile, clinical trials testing them as single drugs or, ideally, in combination therapies in glioblastoma and other types of cancer are both warranted and urgently needed. True sleep, a blessing; medicated sleep, not so healthy.